This is a sponsored post created in partnership with Chore Check and Socialix. All opinions expressed here are my own and are not swayed by this relationship. My daughter has been doing some type of chore since she was a tiny tot. 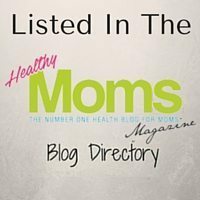 If you’re interested, you can check out a previous post about chores for your toddler. She’s always loved to keep busy and chores have been a simple way for me to teach her personal responsibility. Plus, I’m educating her to the fact that mommy didn’t sign up to be a servant when she decided to have children. When the kids are capable, it’s my job to teach them how to do things themselves. I don’t want to end up with lazy, entitled teenagers who expect to come home from school with snacks on the table and clean clothes in their closets. There’s no cleaning fairy here. It’s better they realize this fact as early as possible, rather than learning the hard way when they go off to college. So, when S was big enough to actually be held accountable for her chores, we began to instill a monetary system for chore completion. She’s now almost 6 years old and we hadn’t adjusted for inflation and we’re stuck on doling out coins on a nightly basis. 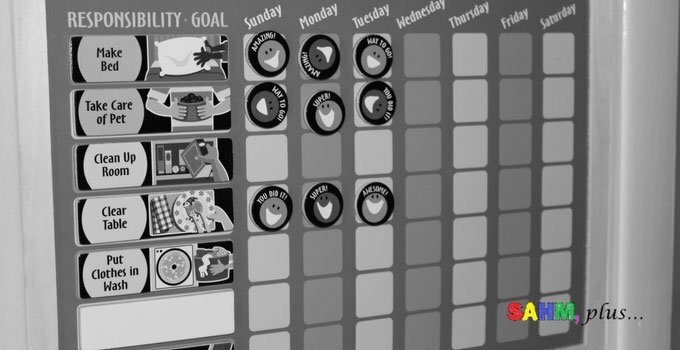 Not to mention the fact, we’ve been operating on a physical chore chart since the beginning. We started with a DIY dry erase chore chart and moved up to a magnetic chore chart. Coins, dollar bills, and physical chore charts? Boy, are we behind the times! It’s time for mom and dad to manage chores in the digital age. I mean, what isn’t done electronically anymore?! And we say we’re a proud, technologically advanced home … shame on us, right?! What Made Us Want to Change up the Routine? Honestly, when the opportunity arose to try out this app, I was intrigued. When I spoke to my husband about this opportunity, it led to some serious discussions about our current system. Immediately, we got into the facts about how outdated and low S’s payments are. For two months of work, her piggy bank usually yields enough for a small toy, or several tiny junk toys after we throw 50% into her savings account. That has been satisfying enough, until recently. She started setting her sights on larger items that were way out of her price range. S and I had a discussion about buying on credit. She declined the option because she didn’t like the idea of working for 6 months to pay back the remainder of a $60 stuffed animal at the zoo. I’m all for teaching financial responsibility, and a lesson in debt repayment isn’t beyond even a 5 year old’s comprehension. It was simple … we can buy the expensive stuffed animal. However, it’s going to mean the next 6 or so times we open the piggy bank, you’ll be giving the money back to mom and dad. That’s 6 more times you don’t get to buy anything at the store. You get a better item now at the expense of getting less. Faced with those choices, she chose a smaller item she could afford right then. And, yes, I was going to make her pay it all back had she chosen the more expensive item. And, it wasn’t going to come out of the savings she’d been earning because I want her to learn that her savings is only there for emergencies or something extra special. (We’re hoping she’ll be able to use it for her first car). I’m on the fence, though, about the best way to pay for our child’s chores. I mean, on the one hand, at almost 6, she’s still really excited when she receives a half-dollar or dollar bill for completing special chores. And there’s certainly value in sitting down together every other month to count coins and add it all up to figure out how much she’s allotted to spend and save. But, there’s a disconnect between her earnings and the physical buying process. We stash the counted coins back into a jar and we go out together for her to select an appropriately priced toy or book she’s earned. And then, we pay for it with our own credit card. Isn’t there a better way to teach her the responsibility part of handling the money? With chore chart, she can track her chores. As parents, we can approve (or accept) that her chores were done. When she’s ready, she can request payment from the parents and Chore Check makes this easy by linking our accounts. The best part is, that by signing up as a Chore Check member, we order her a prepaid debit card, which gets filled upon verification. There’s a bonus here too … you can choose 3 ways to dole out the money and insert your own pre-determined percentages. Your choices are spend, save, and donate. At this point, we do 50% spend and 50% save. Though I want her to learn the value of charity, I still feel she needs the physical connection to those subjects to understand the impact it has on others. 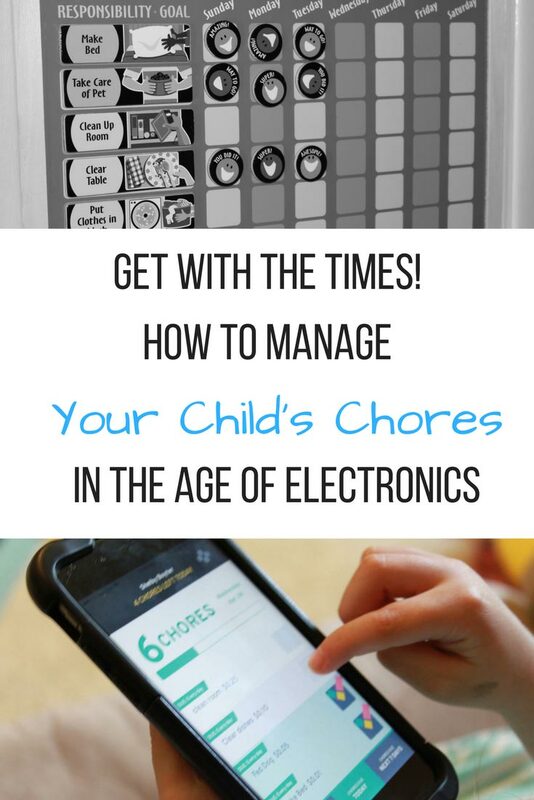 Chore Check makes managing chores electronically a breeze! 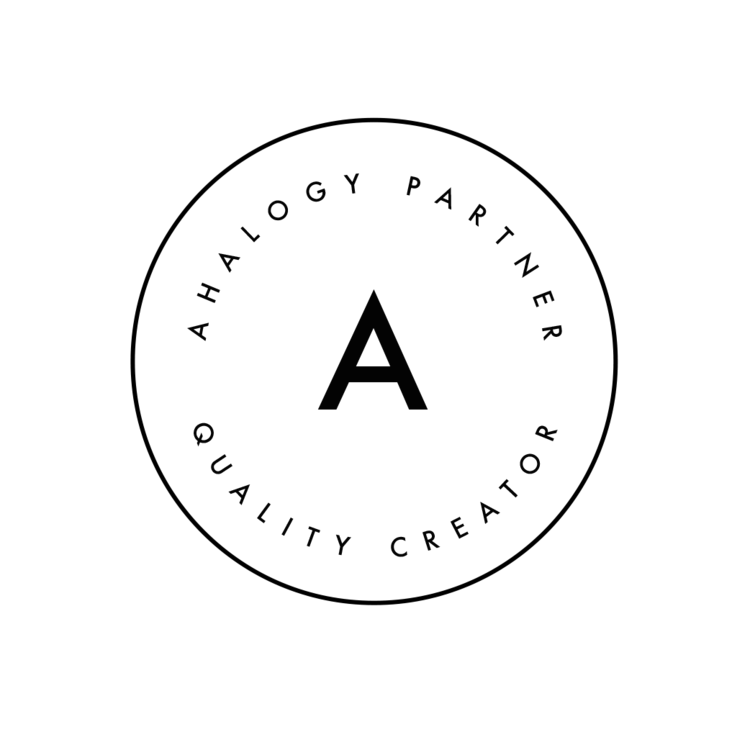 Creating an account is extremely easy and a basic account is free. If you want to fully manage chores in the digital age, you can update to the Chore Check Pay membership. 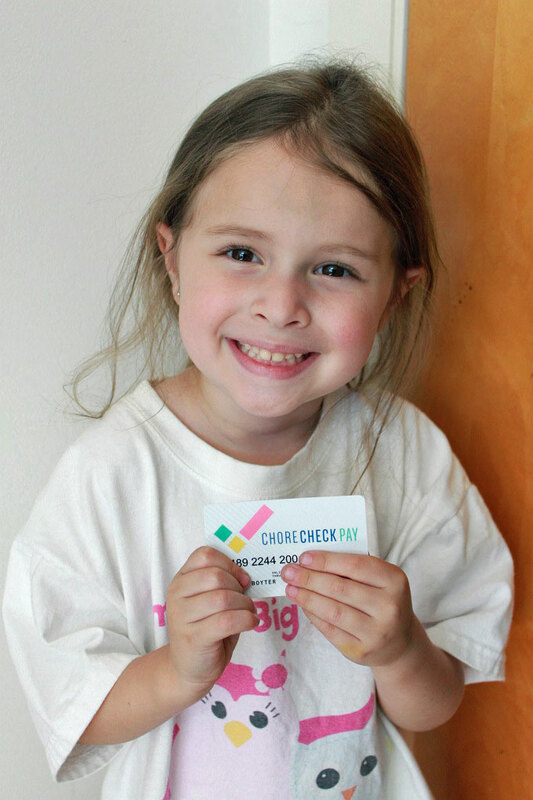 With this membership, you’re able to get a prepaid card for your child. Then, you link your bank accounts to send payments and money to savings effortlessly. 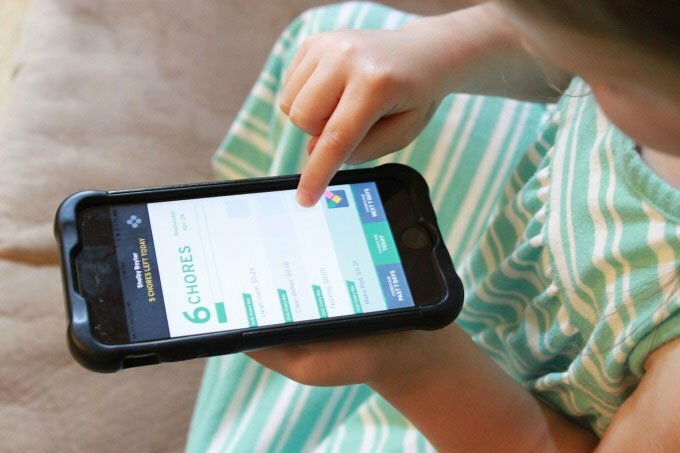 In addition to the card and linking abilities, a $9/mo Chore Check Pay membership allows you to control the payments to your child’s prepaid debit card and savings. Additionally, you’ll be able to check balances on their prepaid cards and suspend the card if temporarily lost. Your child will log into their account when they complete a chore (or at the end of the day). Generally, the app will remember the previous login, making this part of the process simple. Then he or she will touch a box next to the preset chores which display their assigned monetary value. And, if they accidentally check a box, it’s easily unchecked. Of course, as the parent, you’ll have the opportunity to verify the chores later. So, you don’t have to worry about overpaying, either. Your child having their first “credit card” will close the gap on discussing financial responsibility when the money isn’t physically in their pocket. Although a declined transaction may be a bit of a hassle for everyone, including a busy cashier, your child will learn a valuable lesson in how to better budget. Plus, having a card will teach them a new lesson in responsibility as they learn to keep up with their new card. Are you Ready to Manage Chores in the Digital Age, too? If you’re ready to get started with the Chore Check App, I have a great offer for you! Wow! 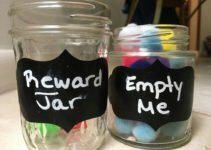 What an amazing system for teaching children the necessity of chores, the joy of earning money with their own work as well as fostering pride in managing money well. Thanks for stopping by! Yes, it is a really cool system! !